1Gbits offers stable and high quality Linux VPS and Windows VPS hosting in United Kingdom from the best datacenters. Our system Is based on VMware ESXI and all Linux VPS resources are dedicated. All our VPS servers are connected to 1 gbits uplink. Technical and Support Staff are always online and monitoring the network. 1Gbits use high quality server hardware. Why choose our UK servers? All our VPS Services are based on VMware and support all Linux and Windows OS types. To give the best network connection our datacenters are located in more than 10 countries across the globe. 1Gbits offers several web hosting control panels on both windows and Linux operating system and you can run your own website or a small web hosting server on your VM. 1Gbits VPS services are deployed on high quality modern Data Centers from USA, Canada and several European countries with a vast capacity of traffic to keep our networks stable and efficient. All OS types are supported and can be provisioned on our VMs and you will get the best performance and stability by the support of our VMware hypervisors and using high-end hardware from Intel, Supermicro, Dell and RAID high speed HDDs. 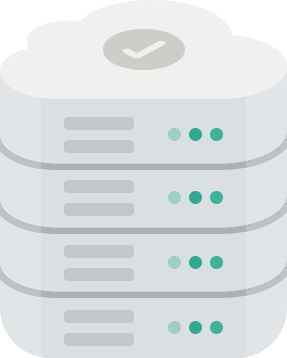 Learn more about our VPS features and benefits. Using power Hardware and RAID10 technologies on all our VPS services, we are able to provide you with very fast and stable performance. Our enterprise-grade network structure and the very high traffic bandwidth makes it possible for us to provide uninterrupted uptime of 99.9%. Our professional support team is always online to monitor all services and keep up the stability of your services. You can reach us through our live chat, email and ticketing system and we're ready to provide you the best possible solutions. On all VPS services you will have administrator access for Windows and root access for Linux. If you need consul access we will provide web-based easy to use consul for your VPS. All VPS services will be installed and activated within 15 mins and all the activation details will be sent to you via email. 1Gbits VPS service are based on powerful and stable Vmware Esxi hypervisors which support full isolation, dedicated resources and stable performance to your virtual machine. Our VPS services are available from over 10 locations including USA, Canada, Germany, France, Netherlands, UK etc. All these enterprise-grade data centers are connected to each other with high traffic capacity networks and provides unlimited traffic with 1Gbps port for all VM. In order to enhance your user experience with our VPS services and dedicated servers and improve your knowledge and awareness, our professional team will provide you with appropriate useful content on all 1Gbits services and related articles. J'apprécie vraiment le service rapide et bon ..